Webs Detour – We stop for yarn! 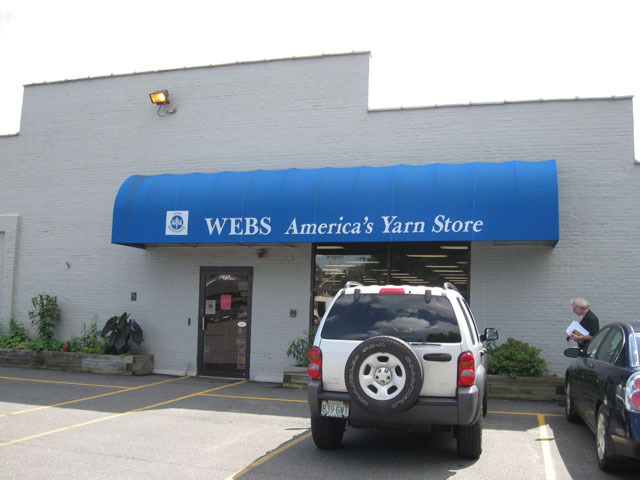 My husband knows that I have a difficult time being anywhere in the vicinity of Webs (even if it takes us an hour or so out of our way to get there) without paying homage to the mega yarn emporium in Northampton, MA. Being a dear, he knows this and is willing to make the detour. Even better, he makes himself at home in one of the arm chairs in the front of the store. Webs Entrance - There's lots of parking! Yarn, yarn and more yarn in Webs' ailes of plenty! Since we needed to return our car rental by 7.00 pm we were on the clock. By the time we arrived at Webs, I had twenty minutes to survey the merchandise, make my selections and pay! 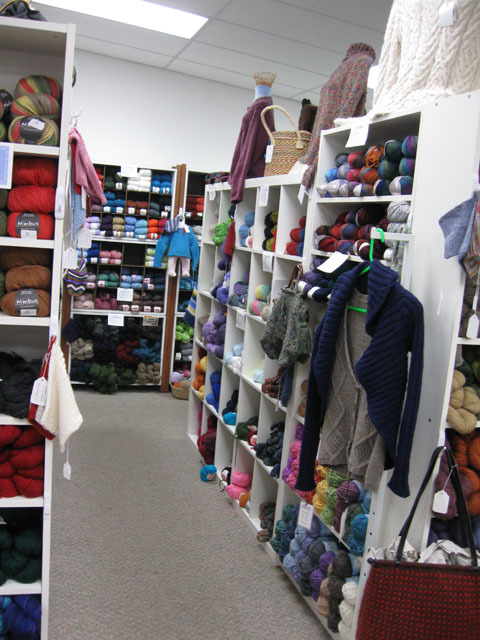 As any of you who have visited Webs know, the joy of shopping focuses on going through the aisles of discounted and discontinued yarns in the warehouse. It’s like a scavenger hunt. While Webs sells yarn on cones, they don’t interest me since I have many cones in my ever growing stash. Having a limited amount of time to make my decisions, I focused on yarns that I didn’t have in my stash and sock yarn since I had promised my husband a pair of socks (poor idea since I only make one pair a year!). 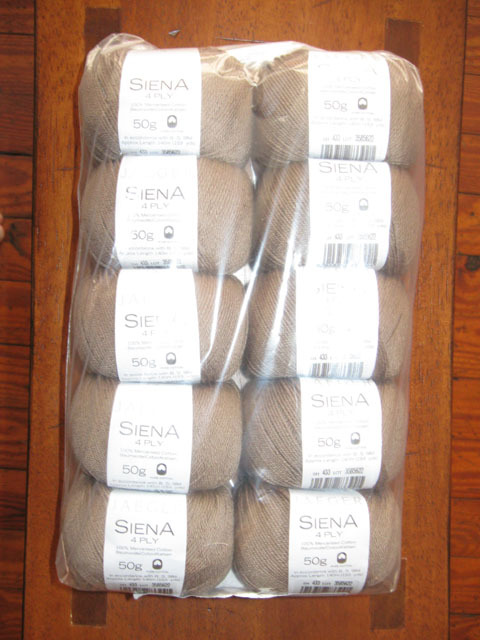 I bought a bag of Jaeger Sienna in a tan color and some blue, orange and white sock yarn for my husband as well as another set of pony double pointed needles. I was happy that my purchases came in under $50.00. BTW, due to our timing, my husband discovered that we could return the car to Hartford instead of Stamford, which was an hour closed to Webs!